All children ages 11 and under and their families are invited to the annual Easter Egg Hunt on Saturday morning, April 20th from 9:00 am to 11:00 am . There will be a light continental breakfast, an egg hunt, crafts, and an opportunity to visit the Easter Bunny (please a bring a basket and camera). Tickets are $7 per person for adults and children and will be available for purchase at the parish office on Monday, April 1st. The last day to purchase tickets will be Wednesday April 17 before 4 pm. This event usually sells out so buy tickets early. Tickets will not be sold at the door the day of the event. 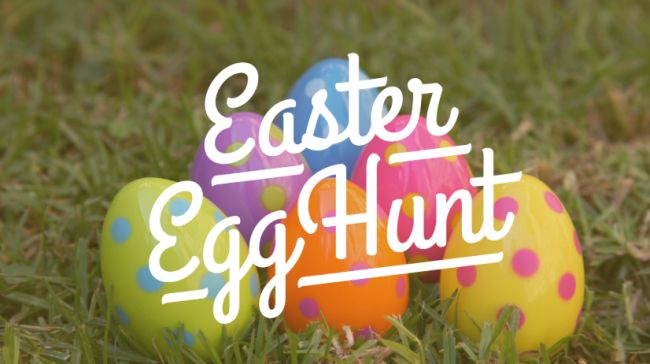 The Egg Hunt will take place rain or shine with the actual “hunt” beginning at 9:30. We hope to see you at this fun-filled event!